inclusive police forces in the world. I just finished watching the Durham City Council meeting of April 16, 2018 which implemented a ban on working with Israeli security forces. The first and only US city to create a ban working with Israel. If you had not stated that you were a Jew and Zionist, that your father had worked for the ADL, I would not be writing this letter. You appear to be a good man, but lacking knowledge on several historical facts. There was a war in 1967 and Israel won that war. But even given that legally there is no occupation – Israel continues to reach out for peace. A Palestinian state has been rejected by the Arabs 5 times since 1948. There truly is no Israeli – Palestinian issue. It is an Israeli – Iranian issue as Iran directly funds Hamas in Gaza and Hezbollah in Lebanon. killed trying to breach Israel’s border with Gaza. Jerusalem, Israel — April 5, 2018 … The Israel Defense Forces is warning the international terror group Hamas, its supporters and all who cooperate with Hamas not to approach Israel’s border with Gaza. 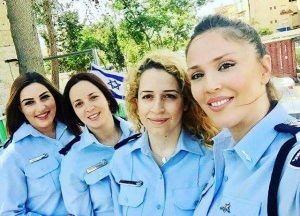 “We will protect our borders from being breached and protect our civilians in the face of terror,” said IDF Major Keren Hajioff. Israel Defense Minister Avigdor Liberman stated: “Anyone who comes close to the fence will endanger their lives.” Liberman made these comments during a visit to the Israel Gaza border in which he tried to discourage participants in the “Great March of the Return” from trying to cross into Israel. “I think the other side [the Palestinians] understand that it is not worth it to continue, and I warn those who do continue against any additional provocation,” the Defense Minister said. “Most of those who were killed trying to breach the border last Friday are well-known terrorists who are active in Hamas’s military wing or in Islamic Jihad,” said Liberman. “These are not innocent civilians who came to peacefully protest. “We are not provoking the people in Gaza. We are protecting our citizens,” he said. Hamas, which is designated as an international terror organization by Israel, the United States and several other nations, is actively recruiting new members. Hamas which has a long history of killing civilians through blowing up buses, planting bombs in restaurants and hotels and launching rockets into Israel is now paying Palestinians who are critically or moderately wounded in the protests $500 and for the families of Palestinians killed $3000, Hamas spokesman Hazim Qassim is quoted as saying. Hamas, whose stated mission is to destroy the State of Israel through Jihad (Holy War against Jews and Christians) rules over Gaza. There are no Israeli civilians or military in Gaza which shares a border with Egypt. The IDF has described the protests as “violent riots,” illustrating through photos and video that many protesters have thrown Molotov cocktails and rocks at its soldiers, opened fire on them, attempted to infiltrate Israel’s borders and has set tires on fire. 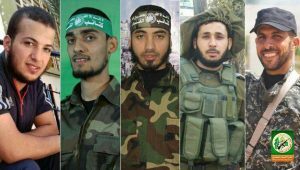 Hamas acknowledges that at least five of its men were killed by IDF snipers during last Friday’s riot adjacent to the border with Israel. Israel has identified at least 10 members of Hamas and other terror groups were among those killed, and says the terrorists tried to used the chaos to plant bombs on the border or carry out terror attacks. Hamas leaders have threatened renewed violence on Friday, with Hamas politburo chief Ismail Haniyeh saying Sunday that protests might not stop at the border next time around. Hamas, which is controlled and funded by Iran, is coordinating its efforts with international, anti-semitic organizations including Jewish Voice for Peace, Code Pink, Students For Justice in Palestine and The International Solidarity Movement (ISM). Americans who are supporting and or cooperating with Hamas in protests in Europe, Gaza and the United States are being identified with their names being forwarded to the US State Department and the FBI.